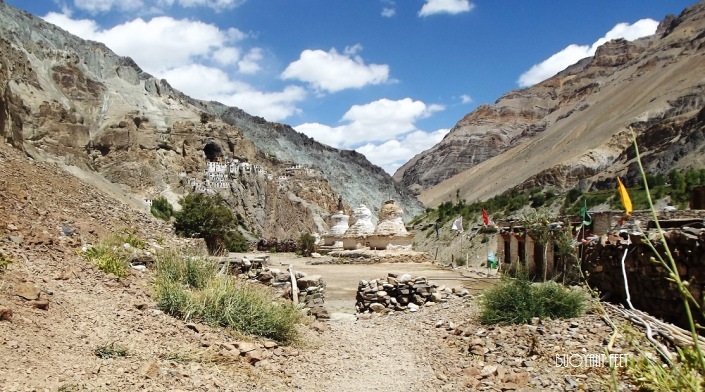 If you are planning a summer trip but want to touch upon an unexplored destination rather than the usual popular tourist spots, then you should plan a trip to the virgin land called Zanskar Valley. Zanskar is one of the most enchanting and scenic valley in the south-west of Leh, which is the most isolated of all the trans-Himalayan valleys. With its landscape and culture identical to Ladakh, ,the place comprises of two main valleys, namely Stod (Doda chu) and Lungnak (Tsarap chu), which converge at Padum, situated at an elevation of 13,000 ft. Due to heavy snowfall, the area remains closed during winters. In Tibetan, Zanskar means ‘copper valley’ and the terrain indeed reflects a reddish hue as you travel towards the heart of the valley. In short, be prepared for the palpable magic of the breath-taking sights, magnificence, high altitude mountains and enormous glaciers, which will simply blow your mind away. 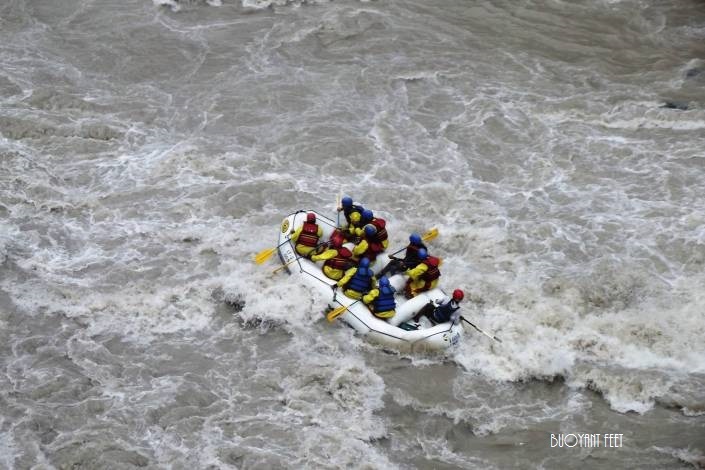 Don’t miss out on thrills and chills of rafting over Indus and Zanskar River. Take the river rafting expedition and raft over the cold river, amidst the surreal beauty and colours of Zanskar. 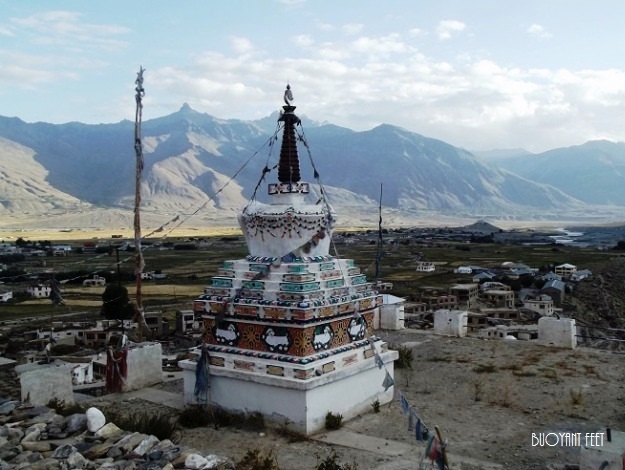 A 4 day/ 3 night expedition starts from Remala and ends at Nimu Village in Ladakh. To all the adrenaline junkies out there, a bike ride on the narrow & rocky terrain should be in your ‘to-do’ list in Zanskar. The trip is incomplete until you have driven on the beautiful roads, with clear blue clouds above and heavenly mountains around. 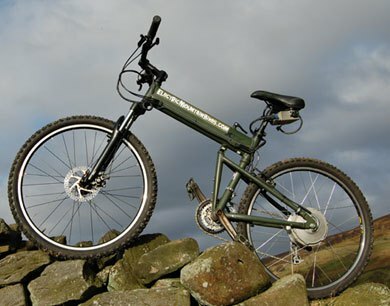 Mountain biking as a practice is quite popular among the foreign travellers. If your fitness level allows you, consider mountain biking in Zanskar, which is probably the best way to enjoy its charm. 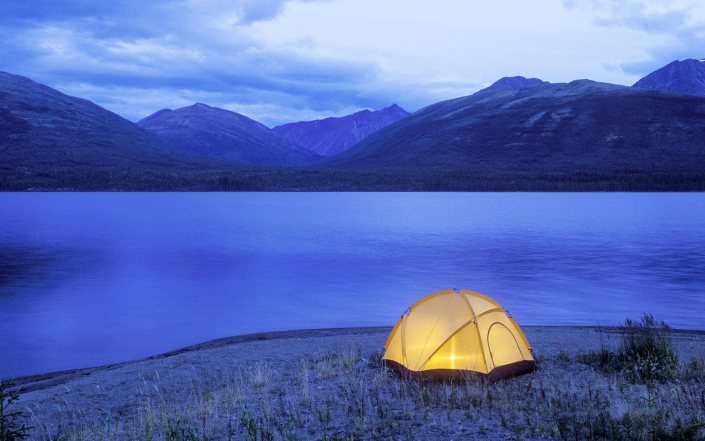 Go camping in Zanskar. Nothing can beat the blissful feeling of walking dreamily along a lazy stream and sleeping under the star-studded blanket. 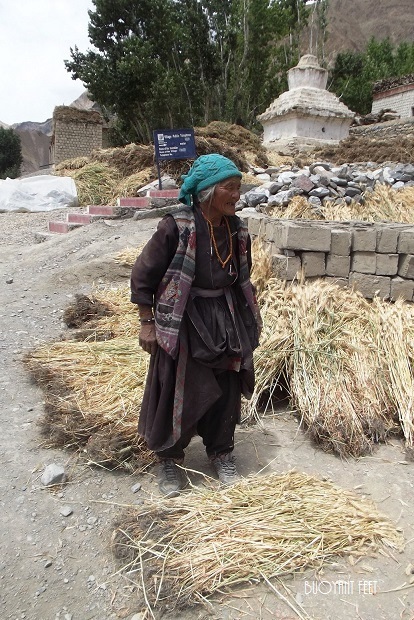 Though Zanskar offers quite a number of popular treks, don’t miss out on a trek to Phuktal Gompa. Witness the remarkable way in which it is built, hidden in a cave on a hill-side. 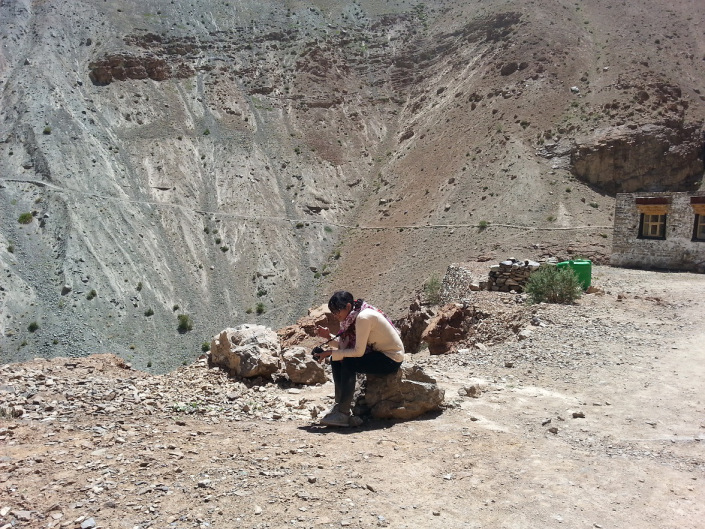 Reaching Phuktal requires a minimum of two day trek which starts from Anmo Village. 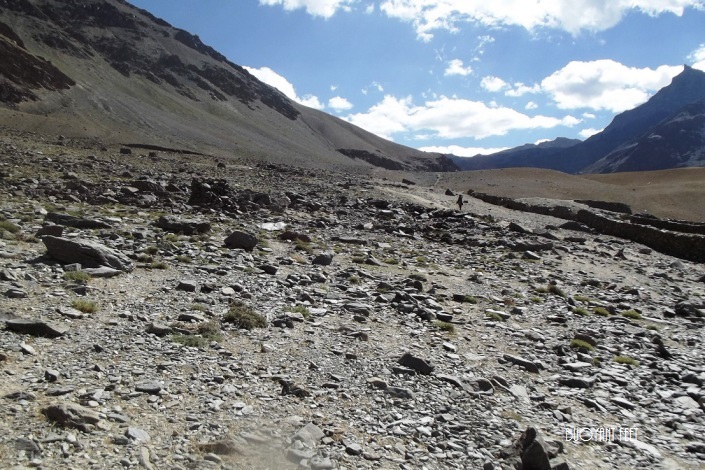 Though the part of the route was washed away in the recent floods, the trek is likely to resume by August this year. Definitely a lifetime opportunity and not something which your heart can ever take again. 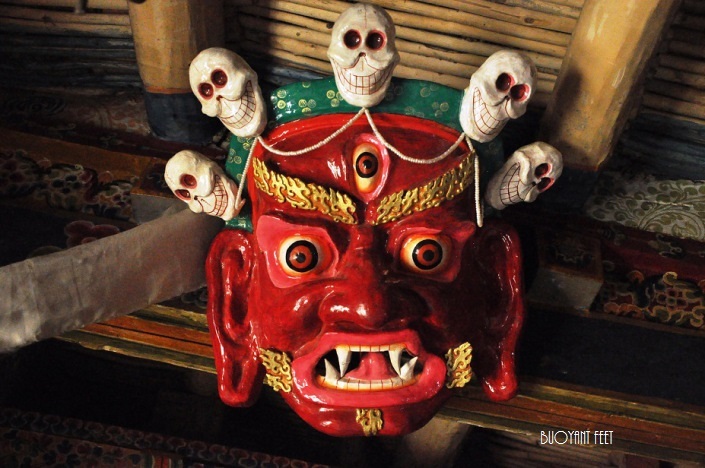 Don’t visit the Buddhist monasteries like a tourist only. Instead, participate in the rituals. 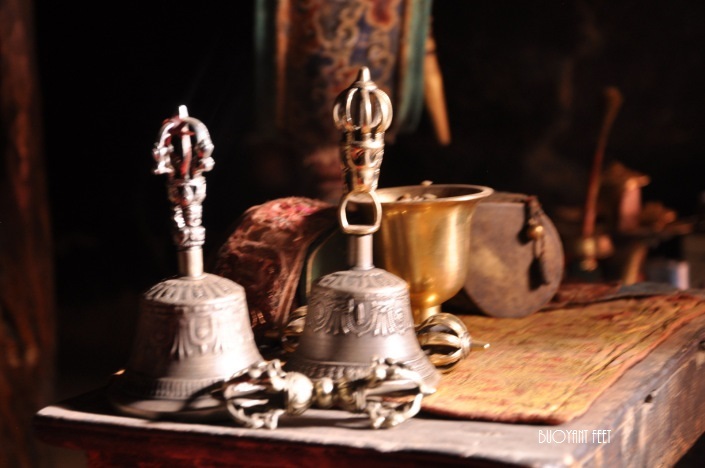 Consider staying in the monastery and observe its tradition. Attend the morning prayers. Meditate to feel a deep connection with your soul. Experience rejuvenation of mind and body. It’s a completely different from meditating within the enclosure of four walls. 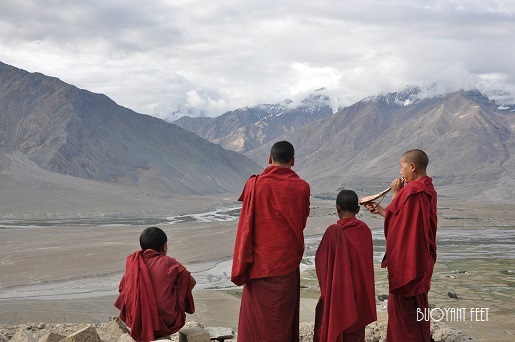 Nothing can beat the magical aura of these Buddhist monks in Zanskar Valley. Interact with monks strolling at monasteries to hear interesting tales about the place and its heritage from them. You will find lots of prayer wheels on the way to monasteries. 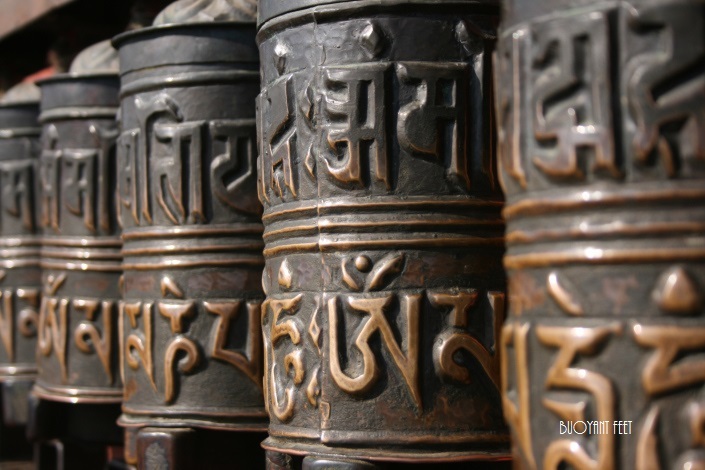 In Buddhist tradition, spinning a prayer wheel is as meritorious as chanting mantras. Experience the life in the mountains. 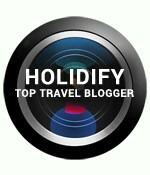 Opt for homestays. Get a whiff of Zanskari culture and feast on local cuisine prepared right at home for an unparalleled experience. 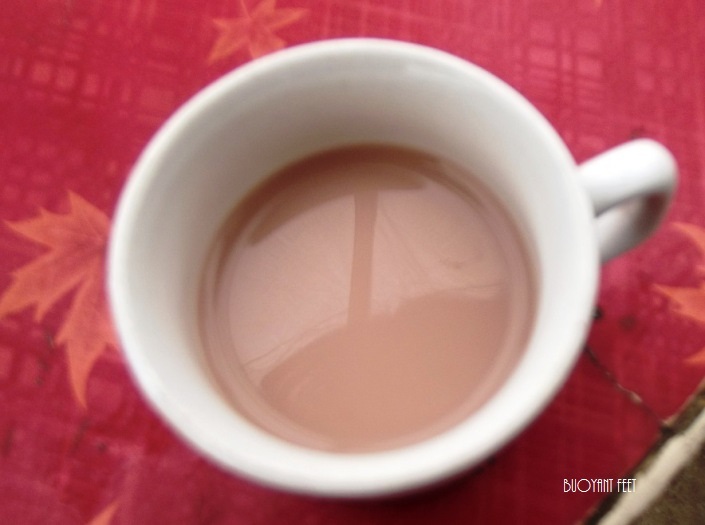 Enjoyed the hot Lipton tea & Chang! You might have had tea at every other place in the country, but when in Zanskar, you have to try out the local Lipton tea. If you are in for a good time, then try out the local flavoured Chang, made from Barley. You must absolutely watch the sun amidst the scenic mountains at dusk. Go take that climb to see the sunrise from Padum palace. 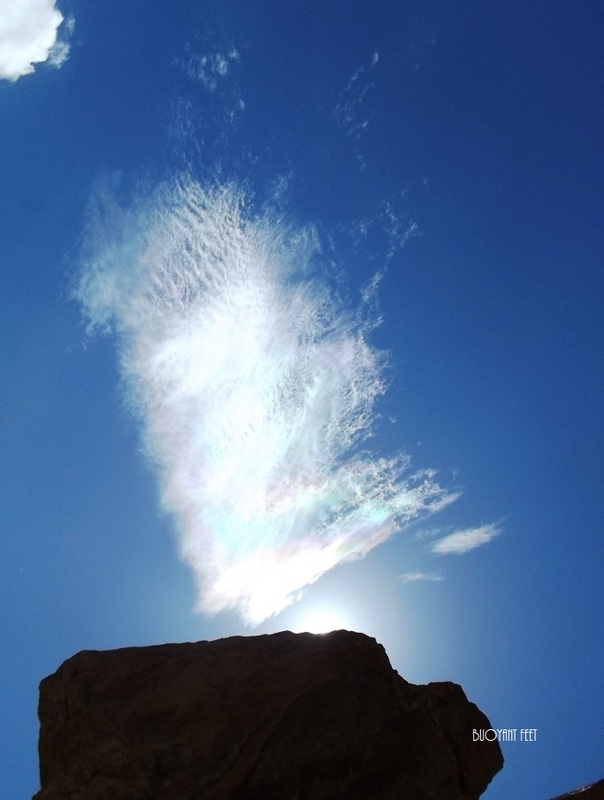 Rainbows occur frequently in Zanskar. Do not miss out the colourful skies in the evening. Take artefacts and souvenirs back home. It’s often displayed on the road-side stalls. You can also get a great deal if you at good at bargaining. Do look around for the local Pashmeena. Go click like crazy! Take tonnes of pictures. The more, the better because a picture is worth a thousand words. 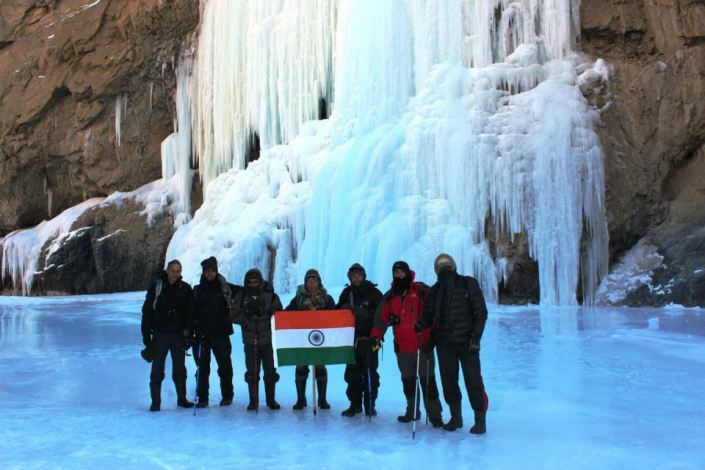 Adventure enthusiasts hit Ladakh road in winter only to experience the Chadar Trek when large sections of the Zanskar river are frozen and covered by a thick blanket of ice. This frozen blanket called ‘Chadar’ in local language, is the only way in and out for Zanskar locales in the winter, as the roads to the village gets closed due to heavy snowfall. This route has been used for centuries for trade and transportation.